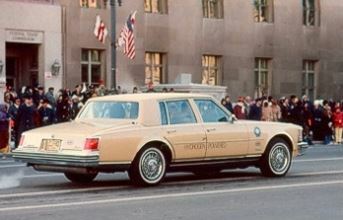 Billings’ work in hydrogen received national attention with the Cadillac Seville that was featured in Jimmy Carter’s Presidential Inaugural Parade. The vehicle was equipped to run on either hydrogen or gasoline — for greater range in the absence of hydrogen refueling stations. Hydrogen was stored in a state-of-the art hydride vessel.